Being in the market for a new fly rod encourages reading the literature about various products, but trying to evaluate brand A, B, C and D from a list of standard specifications is an impregnable quest. There’s almost nothing about any fly rod that is equivalent to a specification that could offer a real comparison to another company’s fly rod of the same weight class and length. It would be like buying a new car, and the sales pitch was: Our TufSht440X 2019 model is medium fast to fast – depending on your skill with a gas pedal, and it gets good gas mileage if you are a pro and know how to double park. FYI: Our dealers have banking hours, so we’re open by 10am most days and close promptly at 4pm. Our showroom salespeople stand around telling car jokes, so please don’t disturb them. If you’re having trouble with the TufSht440X 2019 model, send it back to Asia where it came from. Well, that’s tongue and cheek of course, but there really isn’t a clean spec from Sage that compares with Orvis, or Winston with Echo or Reilly Rods with Rise Rods… or any other rod manufacturer that could possibly allow you to compare performance with the existing non-substantive clarifiers. There’s no intent to confuse because there’s no system of “weights and measures” to quantify performance. 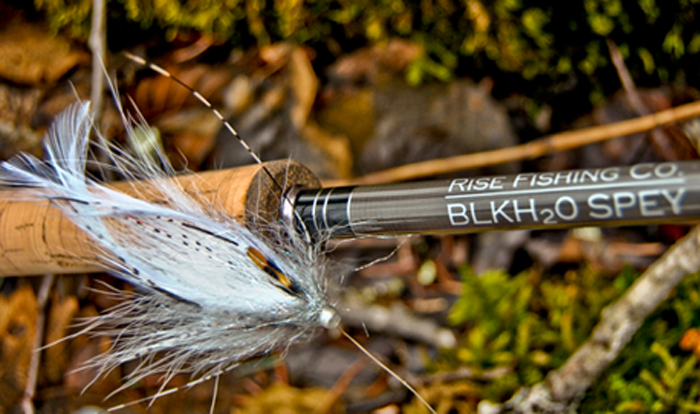 Rise Fishing Company’s Blackwater Spey rods and Switch rods. What exactly is fly rod action? Fly rod manufacturers often describe their rods by designating a type of “action” for each product or product line. Fast, ultra-fast, medium-fast, and moderate are all decent indicators of product capability, but how does an ethereal term such as ultra-fast describe a product’s overall characteristics? In manufacturer catalogs, flex categories have been described as total rod flex, gradual or “tapered” flex, tip flex, arc flex, and moderate arc flex to name just a few. What to make of these terms? Rather than describe a rod’s overall performance, they actually describe a rod’s shape or “look,” as it is taken through the casting stroke . . .
Robert Morselli has traveled the planet, visiting factories and talking with designers and makers of fly rods, fly reels, fly lines and a host of other fly fishing implements – thereby gaining an in-depth understanding of how and why a fly fishing product performs well – or not. He has been reviewing fly fishing gear since 2008 and is the publisher of Fly Gear Guide (www.flygearguide.com), a site that features fly fishing gear reviews, an extensive review archive, as well as gear-related news.